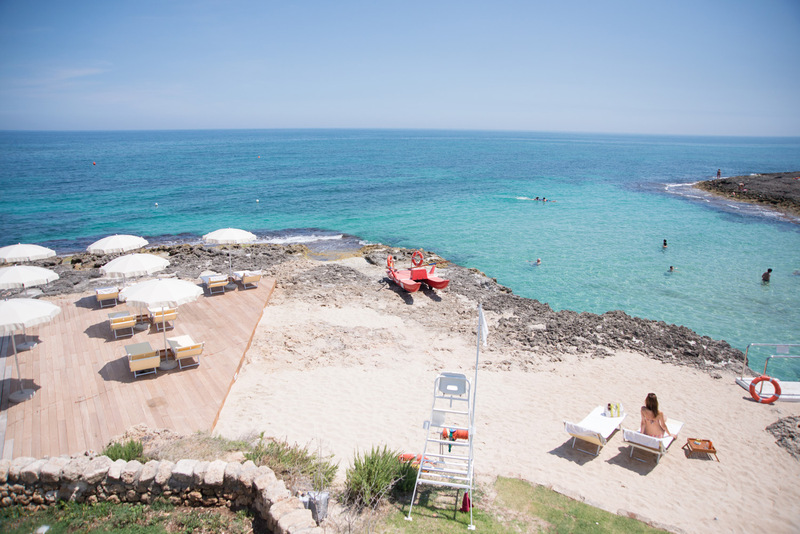 The main building, known as La Corte, hosts many of Borgo Egnazia’s services, including Due Camini restaurant and Vair Spa. 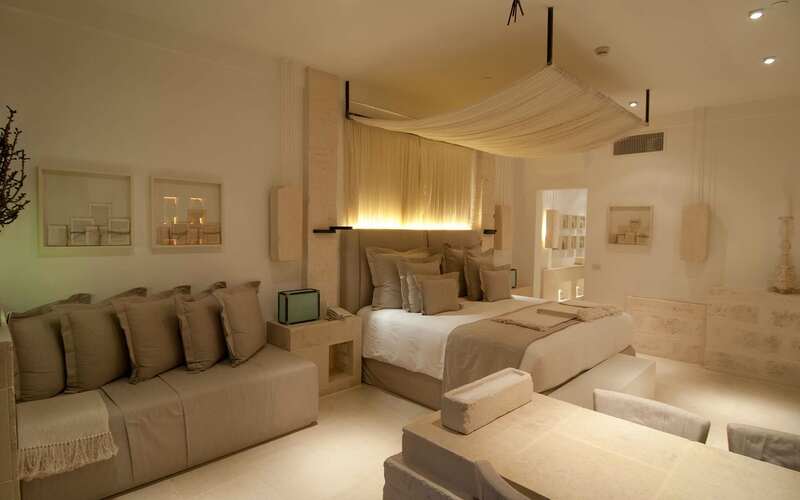 The décor combines Mediterranean tradition and modern design. 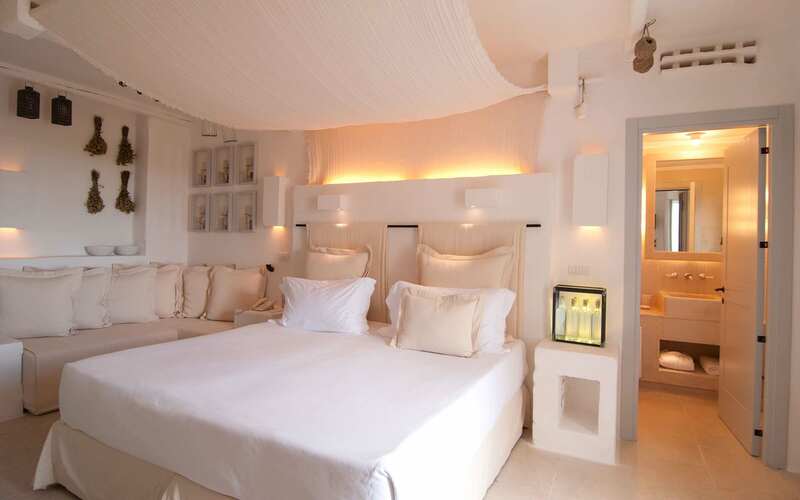 The rooms are divided into four categories: La Corte Bella, La Corte Splendida, La Corte Magnifica, The magnificent Suite Egnazia. With its central piazza, the Borgo is the heart of the property. 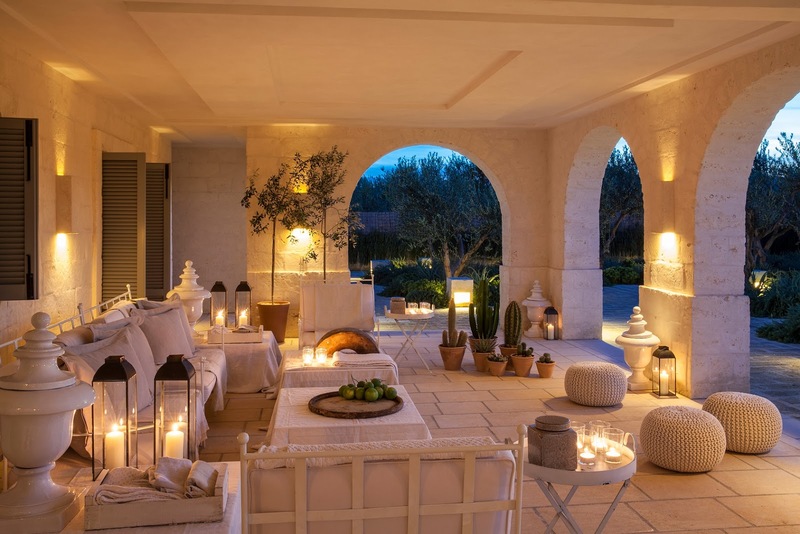 Its internal and external architectural design is reminiscent of a traditional Apulian village. 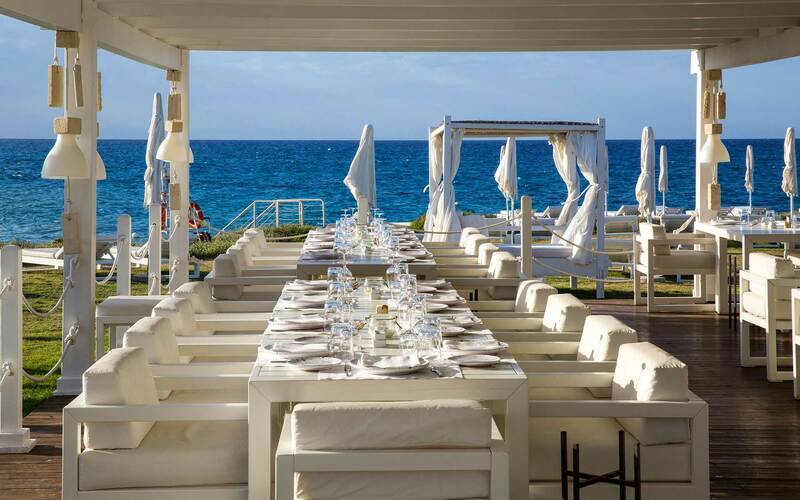 The Borgo hosts many of Borgo Egnazia’s services, such as La Frasca restaurant and Mia Cucina trattoria (where our cooking classes are held), as well as the fabulous Trullalleri Kids Club and Fichi d’India Teens Club. The small streets and corners are typical of an Apulian village suspended in timeless tradition reflect simplicity, elegance and the highest attention to detail. During the summer, the property comes to life at the Borgo’s piazza, which is the site of events, markets, parties and games lasting as late as 11pm.